Incontinence is the involuntary release of bowel movement or urinary action. Incontinence affects primarily individuals above the age of 60, however there are a small percentage of cases where it affects individuals less than 60 due to a number of health issues which may be plaguing those individuals. Also, in cases of accidents, there have also been cases of incontinence during a period when the patient is recovering at the hospital. Till about 15 years back, the market for incontinence products was restricted to mainly hospitals which required these products for patients who were admitted in their institutions. However, the situation has changed considerably today with incontinence products being sold as part of personal hygiene products in many pharmacies and in some cases, in some retail stores. Furthermore, with an increase in mortality rate, the number of patients in the above 60 years of age category has increased considerably thereby providing a much larger market potential. In terms of geographical contribution, North America and Europe are the leading regions for incontinence products. These regions were among the first to establish a number of elderly homes which were in a way also healthcare clinics for the elderly population. The increase in the geriatric population is the highest in these regions. North America also has the advantage of having a healthcare system which takes care of the elderly population for certain requirements. 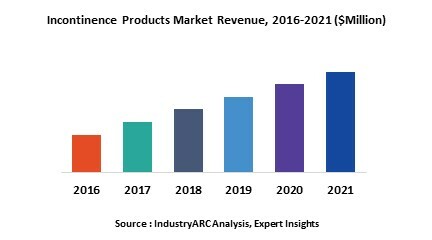 The APAC market serves as a large potential for the global players to tap as there is a huge population of individuals above the age of 60 years that are affected by incontinence. Further to this, there are a number of programs that are organized by global organizations like WHO as well as local healthcare institutes that are providing free medical care for the elderly in the region. Many of these programs had started in countries like India, Vietnam and the Philippines. Many of these programs have now spread across the region in which incontinence products play a vital role in the package that is offered to these elderly individuals. Such programs are vital to bring about an awareness of incontinence and the need to control the same through the use of the many products that are available in the market today.